Join Christine Pittsley, Project Director for Connecticut State Library’s WWI Initiatives as we explore the Connecticut’s role in one small village in France. Seicheprey was the site of the first German offensive against American troops, specifically Connecticut’s 102nd Infantry Regiment, during World War One. On April 20, 1918 Connecticut lost 81 men, 450 wounded and more than 150 captured, and the day became seared into the consciousness of our small state. Long after the battle, Connecticut helped to rebuild the destroyed town, and remembered April 20 as Seicheprey Day. On April 20, 2018 Christine traveled to Seicheprey to remember the men who had fought there and re-established a hundred year old friendship. This summer, she’ll be taking 15 Connecticut high school students to the village to restore the trenches our boys once occupied. 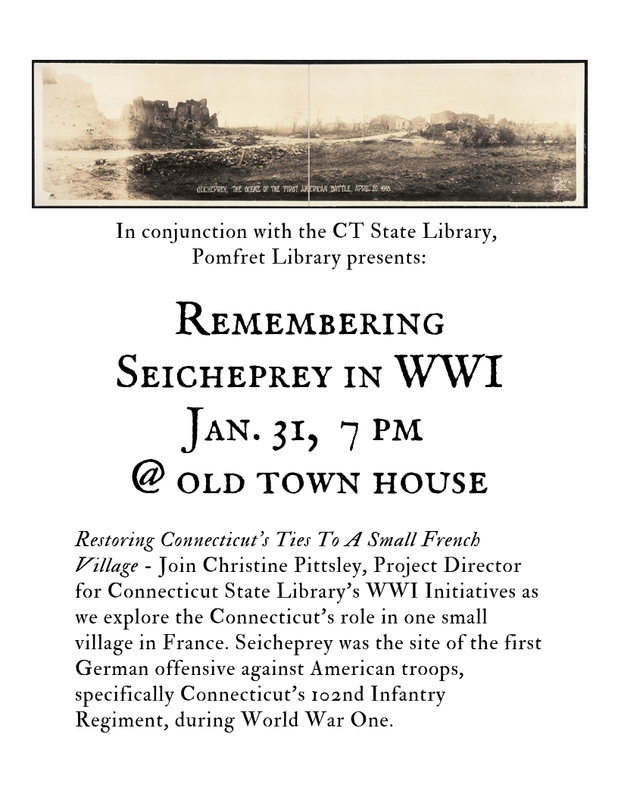 Come hear about this battle, the bonds between our state and the village and the groundbreaking project to remember Seicheprey.